A remarkable collection of "terrible but true" ghost stories. This enduringly popular book, originally written in the 1970s by New York Times Best Selling author, Adi-Kent Thomas Jeffrey, has recently been revised and edited by the author's daughter. Each page of this fascinating book offers readers authenticated accounts and eye witness reports of psychic phenomena and supernatural encounters that have occurred, and in many cases, are still occurring in the Delaware Valley area. 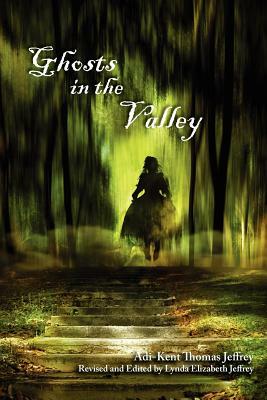 The 40th Anniversary edition of GHOSTS IN THE VALLEY includes introductory comments by the Amazing Kreskin, stunning interior photographs and graphic images, as well as new supplemental material. Everybody loves a good ghost story and no one tells them better than Adi-Kent Thomas Jeffrey.